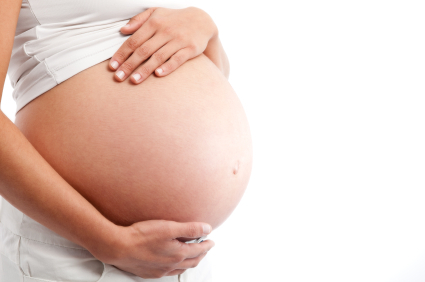 Pregnancy causes huge changes in the human body. As many new mums agree, the muscle strains of pregnancy are very real and are often more than just a slight pain or inconvenience. Most pregnant mothers will experience an average weight gain of 10 to 15kgs, increased stress placed on the body by the baby itself, and an increase in hormones that can soften the ligaments. These factors result in more than 50% of women experiencing often severe back pain, usually in the lower back, during their pregnancy, particularly in their 3rd trimester. Not only is chiropractic treatment completely safe during pregnancy, but many pregnant women have found that chiropractic adjustments provide relief from their increased lower-back pain. Not only do chiropractic adjustments reduce discomfort during pregnancy, they also reduce the chance of long-term damage following the birth of the baby. There is also evidence to suggest that having a well-aligned and cared-for back can reduce pain during labour and birth. Chiropractic adjustments are ideal for those who are trying to avoid medications in treating their back pain. Any spinal adjustments made are especially gentle during pregnancy, as far less force is required to correct subluxations. This is due to the increase in specific hormones that cause significant muscle and ligament relaxation. Special “adjustive” positions are also used to provide comfort and safety for both mum and baby. Chiropractic care can also be highly beneficial after childbirth. In the eight weeks following labour and delivery, the ligaments that loosened during pregnancy begin to tighten up again. Any joint problems which arise during pregnancy should ideally be treated before the ligaments return to their pre-pregnancy state, in order to prevent ongoing muscle tension, headaches, rib discomfort, and shoulder problems. The doctors and friendly staff at Live Well Chiropractic are almost all parents themselves and understand the importance of the health of you and your family.